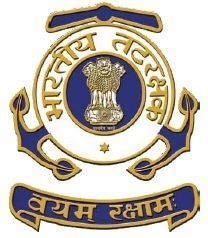 Indian Coast Guard Worked Since 18 August 1978 in India. Indian Coast Guard Worked Under Ministry of Defense India Armed Forces. ICG Headquarters In New Delhi India. ICG Slogan is ‘Vayam Rakshamah (We Protect)’. ICG Current Director General is Mr. Anurag G Thapliyal. Indian Coast Guard Recruitment 2014 Invite Online Application For Three Years Technical Diploma Candidate to Join as Yantrik Post Vacancies. Interested Candidate Must Apply Online Through ICG Official Website www.joinindiancoastguard.gov.in Before Last Date. Eligible Candidate Must Be Apply Online on Indian Coast Guard Official Website www.joinindiancoastguard.gov.in Within 10 Feb to 17 Feb. Candidate Only Select One Post of the Following. Mumbai, Chennai, Kolkata, Kochi, Visakhapatnam, GandhiNagar, Noida, Paradip. Select Qualify and the chosen candidate’s name will be announced on the site. Indian Coast Guard Recruitment 2014 List of Documents verification: Two Copy Online Filled Application Form, 10th Class Certificate, Diploma Certificate, Identity Proof, Caste Certificate, Ten Color Passport Size Photo. More Details About This Recruitment Candidate Must Check Website Every Day. Any Help Contact The Director Recruitment Coast Guard , Selection Board Noida. Phone Number-0120 2414395/2411752.